Is Your Car Really the Safest Place to Be During a Thunderstorm? 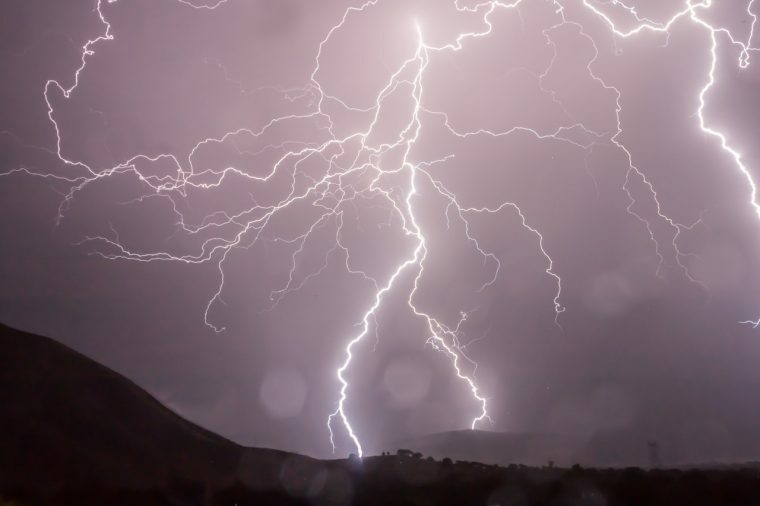 When lightning strikes, most of us know the basics: stay away from telephone poles, don’t hide under a tree, and avoid standing in any puddles or other bodies of water. But there has been a long-time rumor going around that if you’re in your car, you’re actually in one of the safest places. Is that fact or fiction? The idea here is that because your tires are made of rubber, the electricity will travel through the outside of your car — similar to a Faraday Cage — and the tires will absorb any electricity if your car is struck by lightning. Unfortunately, that’s an oversimplification, and it’s not as safe as you think. Many cars nowadays are made out of fiberglass or other non-metal materials, which would interrupt the electricity’s flow to the tires. Convertibles and cars with their windows rolled down have the same problem. Without a complete metal surrounding, the lightning strike will not be fully absorbed in the tires. There are also far too many electric components within your car that will attract lightning. This includes your infotainment system, GPS, and yes, even your cell phone. Granted, if you are in a metal-topped vehicle, it’s safer than standing underneath a tree or telephone pole, but you shouldn’t seek shelter inside your vehicle. Instead, opt for a safe place indoors to hide from the ferocious storm. If you’re unable to seek proper shelter, pull over, turn off the car, and refrain from touching any electronic devices while the storm passes.